McALLEN — Despite being severely outspent during the campaign, Incumbent Mayor Jim Darling won re-election Saturday to earn a second term as mayor. Darling beat challenger Othal E. Brand Jr. 4,409 to 3,061; third candidate Jonathan Carranza received 250 votes. However, the election will not be finalized until a May 16 meeting. 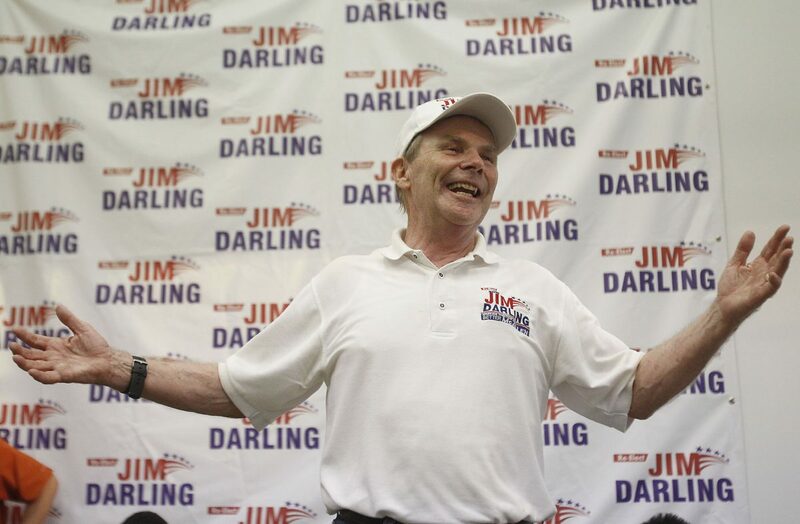 Darling faced a strong campaign from Brand, who ran on transparency and accountability. Brand challenged Darling on the city’s holiday parade, the firing of former City Auditor Cathy Jones and the rewritten city auditor ordinance, as well as the city’s overall transparency and Darling’s former employer, Doctors Hospital at Renaissance. Brand said he talked to Darling and congratulated him. Darling said he understood as the incumbent, he was going to take the heat for any city mishaps, but said he believes the city is going in a positive direction. Darling will now be able to see through several projects that started during his first term, such as the various street improvements, paid for through a bond election during Darling’s first year as mayor. He will also be able to see through the youth baseball park in north McAllen, also paid for through a bond election during his first year as mayor. Darling has hoped to improve retail sales tax revenues. The city is down in retail sales tax revenue, but City Manager Roel “Roy” Rodriguez predicts the new La Plaza Mall expansion will help fight through that. Darling also wants to diversify the city’s revenue streams and not rely as heavily on one area. The city is focusing on mixed use venues, such as Dave and Buster’s, which it gave incentives, to bring new forms of entertainment to the city. The city will also look to continue its development in north McAllen, specifically the 2,500-acre Tres Lagos development. Darling also said he wants citizens to be more engaged outside of election years. Darling has maintained a mostly aligned commission, besides District 5 Commissioner John Ingram, who occasionally votes in opposition to the rest of the commission. However, there are two fresh faces on the commission. Joaquin “J.J.” Zamora beat incumbent District 2 Commissioner Trey Pebley 1,004 to 555 votes. 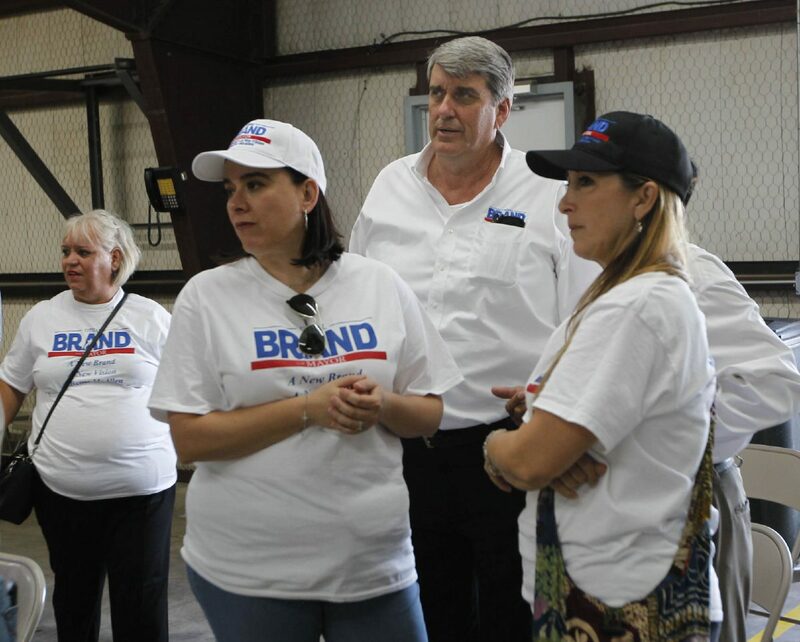 Several political advertisements paired Brand with Zamora as a slate running together, but Zamora denied any kind of slate. Zamora said the two are friends, but they were not running together. Darling said he will miss Pebley but congratulated Zamora on his victory. There will be a new District 3 Commissioner as well in Omar Quintanilla. Quintanilla will replace Hilda Salinas, who is retiring after 16 years on the commission. As for what’s next for Darling and the city? “Working really hard on the (Anzalduas International) Bridge,” Darling said. “I think that’s really important. We also had a meeting with other cities about a tire collection system so cities can get rid of old tires. There’s also a budget we gotta do.